Cadillac XLR kit allows you to quickly and easily repair your shift cable by replacing the bushing. The patent pending coupling and custom molded replacement bushing ensure a quality repair with ease. A professional can perform this repair in under 2 minutes, average time for a non-professional is less than 5 minutes. This bushing is made from a material that will outlast the factory bushing and includes everything needed to install. Order Online at www.BushingFix.com This shift lever bushing repair kit allows you to fix your Cadillac XLR shifter lever by replacing the bushing very easily. It takes about 5 minutes and comes with a warranty, it's made from better material than the factory bushing so it'll last longer. No drilling required. Check out our website to order and for additional written instructions. 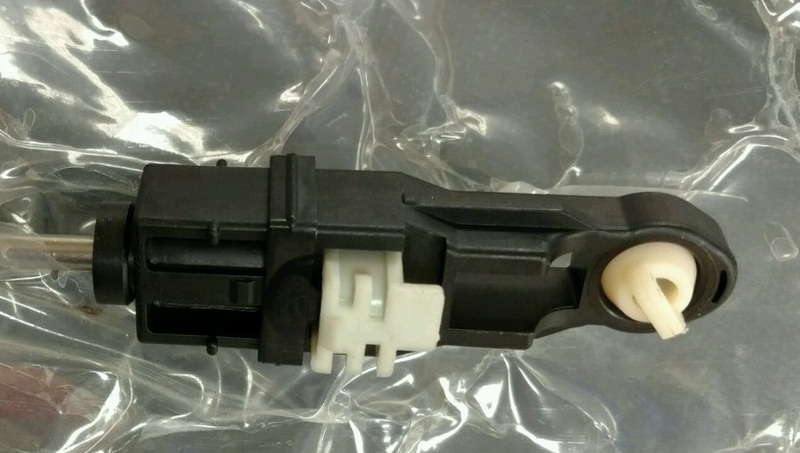 The easiest way to fix or repair your Cadillac XLR shift lever! Kit includes replacement bushing. Fits perfectly and went right in with the included installation tool. The dealership does not have this part available separately, instead charges $300 for the entire cable, which would have required extensive labor to install. This part saved me a massive headache and a not insignificant amount of money.